Idaho has sold off 40 percent of its state lands. Why would it do any different with formerly federal lands? The disturbing thing about scams is that all too often they work. Some are easy to spot, like the foreign cousin you didn’t know you had who calls and needs cash wired immediately. Here in Idaho, the scam of the moment involves politicians trying hard to convince us that states should take control of public lands now managed by the federal government. Like good used car salesmen, the legislators hawking this free-the-public-lands scam want you to believe that the deal is too good to walk away from. But a look under the hood reveals that the salesmen aren’t telling the whole story. Recently, as a start at getting at the truth, The Wilderness Society conducted an analysis of how Idaho treats the lands it already manages. What the nonprofit organization found makes it hard to believe that Idaho politicians wouldn’t move quickly to sell off and close access to our public lands. Of the lands granted to Idaho when it became a state, Idaho has sold off 1.7 million acres –– just over 40 percent –– of the original amount. The primary buyers have been mining and timber companies. Other state lands sold off have since been developed into strip malls, country clubs and private fishing clubs. Still, state legislators act perplexed when some residents say they fear what would happen if federally managed public lands were given to states like Idaho. In a hearing this spring, Rep. Linden Bateman, R-Idaho Falls, tried to explain why the distrust exists: " Most of the feedback I get is in opposition. … They (the public) don't trust the people they elect; they're more inclined to trust federal bureaucrats." Idaho isn’t the only state with a strong history of liquidating its land. New Mexico, Colorado, Utah, Oregon and Wyoming all share a history of selling off their lands. In total, Western states have disposed of over 31 million acres of land, an area roughly equivalent to the state of Louisiana. Proponents of the anti-public lands movement claim that our system is broken and deprives states of income. They say the way to fix it is to take Bureau of Land Management and Forest Service lands away from all of us and give these lands to the states, undermining the conservation idea that Theodore Roosevelt made popular more than 100 years ago. Roosevelt’s creation of the U.S. Forest Service in 1905 was criticized by the land barons at the time, but it’s the reason we have free access to hunt, hike, fish, bike, climb and camp on millions of acres of national forests today. According to those who would hand over our federal lands to the states, our birthright of public lands is a giant error, not a rare privilege. Apparently, these critics would rather see us forced to beg private landowners for permission to hunt or hike, rather than be allowed to enjoy the freedom to go where we want to go, on the lands that all of us own. Luckily, most Idahoans can smell a scam a mile away. The promises that politicians make about holding on to public lands are empty. In Idaho, they just don’t square with a 100-year history of privatizing Idaho’s treasured forests, high desert valleys and fishing streams. Brad Brooks is a contributor to Writers on the Range, the opinion service of High Country News. 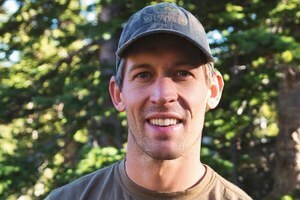 A lifelong hunter and climber, he is the deputy regional director for The Wilderness Society’s Boise office.